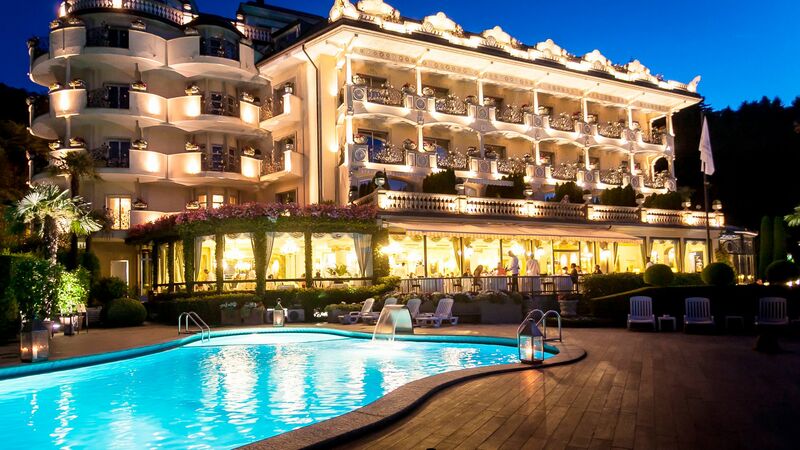 Overlooking the stunning Borromean Gulf, the 5-star Villa e Palazzo Aminta Hotel Beauty & Spa offers traditional Italian design, period furniture, and hand painted frescos, lovingly maintained by the Zanetta family. Delight in the Venetian pavements, marble columns, wide patio, and classical gardens throughout, perfect for those seeking romance or relaxation. Sample local Mediterranean cuisine and wines at Le Isole, let yourself be pampered and relaxed with a spa treatment, or enjoy water sports and hikes in Lake Maggiore’s natural playground. This welcoming and elegant hotel is part of the ‘Leading Hotels of the World’ group and offers a friendly and sophisticated ambience, perfect for couples seeking relaxation or adventure. The property is a 20 minutes’ walk from the town of Baveno. Hotel child prices apply to ages 2–12 years. The hotel has 67 rooms. This bright and airy restaurant offers traditional cuisine in a beautiful dining room, accompanied by wrought iron furniture and floor to ceiling windows, with lake and mountain views. 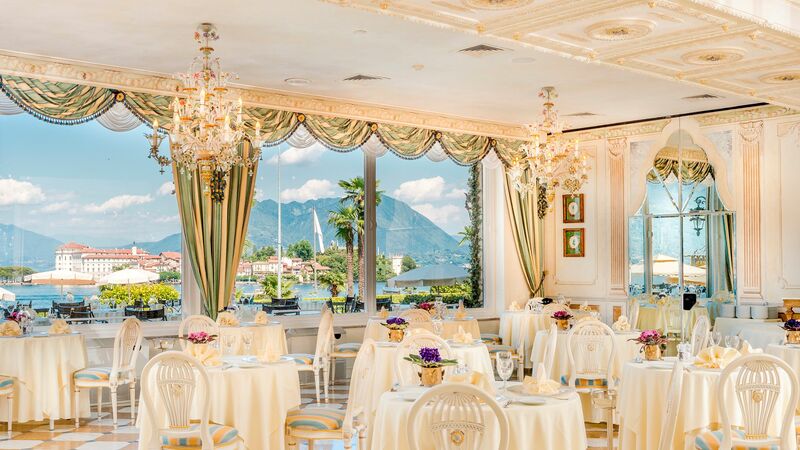 The hotel’s main restaurant, Le Isole serves international and traditional Italian fare in an elegant hall. Cooking classes and wine tastings can also be arranged. The swimming pool is usually in use between mid-May - September. The hotel has a private beach on the shores of Lake Maggiore for guest use, with sun lounges, umbrellas and towels provided. The spa offers a range of revitalising and relaxing beauty and body treatments, hot stone massages, and couples’ treatments. Not to be missed is the Camelia grotto, a natural cave providing a steam bath, ice waterfall, aromatherapy and hot and cold showers and baths. The hotel’s fitness centre allows guests to keep up their fitness programme while on holiday. It comes with air conditioning and a range of state of the art equipment. Nestled on the border of Italy and Switzerland, Lake Maggiore is romantic, breathtaking, and serene. Offering deep blue waters, imposing Alpine landscapes, and palatial villas dating back to the glamourous holidaymakers of the 19th Century, Maggiore provides the best of the Italian lakes. 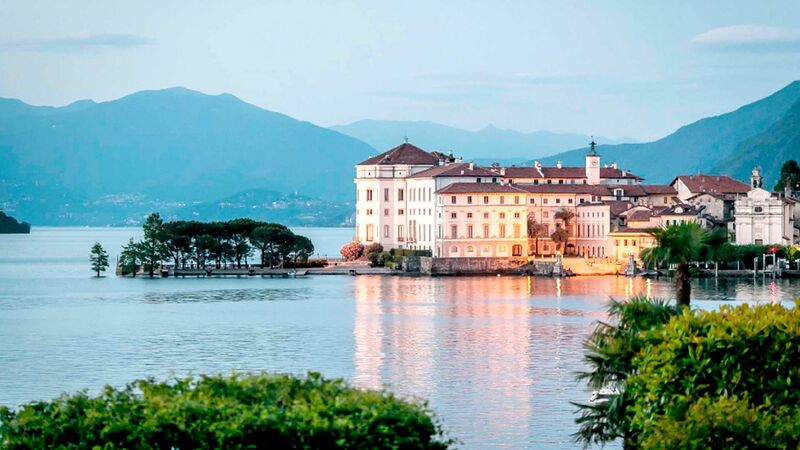 The lake can easily be explored from its main resort of Stresa, which is situated on the lake’s western shore, in Borromean Bay, and stuns visitors with its ornate gardens, candlelit restaurants, and local cuisine. Outside of Stresa, consider soaring up in the Mottarone cable car for Alpine views, or take a ferry out to the Borromean Islands and Isola Madre to explore the spectacular villas and gardens. Villa e Palazzo Aminta Hotel Beauty & Spa is 45 minutes from Malpensa Airport. Belvedere Suites feature breathtaking views of Lake Maggiore from your balcony, large living area, cosy bathroom with Jacuzzi® bathtub, a marble sink and separate walk in shower. Deluxe Lake View Rooms have a private balcony with magnificent views over the lake and the Borromeo Islands. Deluxe Side Lake View Rooms feature private balconies with side view over the lake and the Borromeo Islands. Flower Suites are bi-level suites and located on the fourth floor of the resort, at roof level. Outstanding views from your private wide balcony come as standard and a cosy living room area. Junior Suites are located on the 1st floor with views over the lake and the Borromeo Islands. They feature a double bed, seating area and a large private terrace. La Borromea Suite consists of a large bedroom, spacious round living room and mosaic bathroom with large Jacuzzi® tub and separate walk-in shower. Outside, there is a large private terrace with Jacuzzi® pool and stunning views over Lake Maggiore and the Borromeo Islands. Liz Taylor Suite is dedicated to the world-famous actress who stayed in this very suite in the 60s. With spectacular views over the Lake and Borromeo Islands and three private large balconies overlooking the gardens. Superior Park View Rooms feature a private balcony or terrace with views over the resort gardens. Facilities include air conditioning, complimentary wifi, flat screen satellite TV, DVD player, minibar, safe, hairdryer, bathrobes and slippers. We enjoyed a memorable three night stay at the Palazzo Aminta. 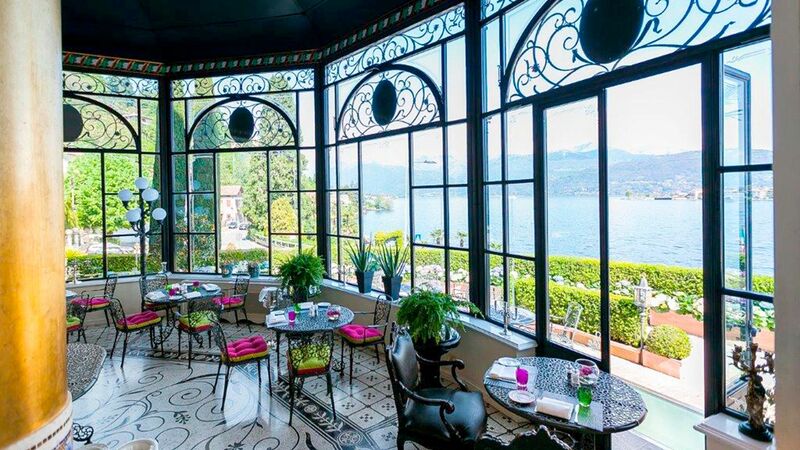 The location is truly spectacular, with an unrivalled view of the lake and the Borromean Islands. The interior is equally striking, with an eclectic and extravagant collection of antiquities and decor in the Grand Italian style. The hotel is relatively small but it exudes an aura of luxury. The staff were exceptionally good: friendly, helpful, and with an evident pride in offering top quality service. The hotel is very well maintained and scrupulously clean. Food was another highlight, with a well-executed gourmet menu and an expertly chosen Italian wine list on offer at the in-house I Mori restaurant, and some great options for breakfast while you?? ?re drinking in the lake views. And don?? 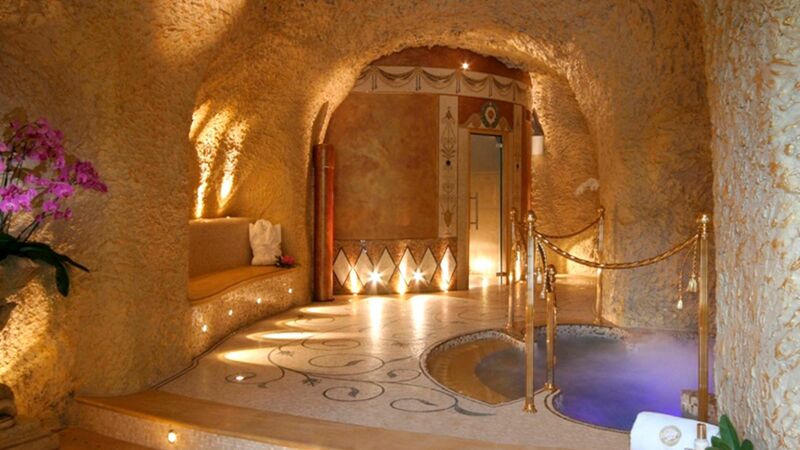 ?t miss the grotto-style spa - it?? ?s quite something. We regretted getting a side room rather than one with a full front-on view of the lake, and the room itself was relatively small, although very comfortable and nicely decorated. We would splash out on a bigger room next time. The Acqua di Parma toiletries were a nice touch. All in all, the Aminta was one of the nicest hotels we?? ?ve ever visited, and an ideal choice for a short romantic break in the Italian Lakes. “ Beautiful and quaint getaway! This hotel was amazing. The service was outstanding and the view leaves nothing to be desired. We had a junior suite with a lake view and it was perfect. The concierge was very helpful and we utilized the shuttle to and from Stresa several times. A boat tour of the Borromean Islands is a must! We were greatly looking forward to our stay at the Hotel Villa e Palazzo Aminta. Unfortunately, we feel the need to file a complaint containing several concerning items. First, the positive things: the restaurant was great and the restaurant staff was fantastic in every way. The view of the lake from the restaurant as well as our room, the Elizabeth Taylor Suite, was gorgeous. However, our room contained scores and scores of bugs. We have photos and video. They sent a housekeeper to the room and she was attempting to vacuum them all away for about an hour. But the constant stream of bugs never ceased the entire time we were there. The hotel?? ?s answer to this was to implore us to not open the doors to the outside, yet one of the room?? ?s biggest features was the beautiful outdoor terrace. And we hadn't even opened the door when we saw the bugs filling the room. They told us they were "seasonal bugs" and that they didn't know what to do. But we had stayed for three nights in Pallanza on the other side of the lake and never saw one of these strange, flying bugs. When we expressed interest in heading into Stresa for dinner, we were given two restaurant recommendations. We expressly asked if we needed a reservation, but we were told by the blonde woman working the front desk that we did not need one, that it would be a quiet evening, and that there would absolutely be no problem getting a table. I pushed back a little and said, "Are you sure we shouldn't make a reservation?" She insisted we would not need one. We walked through the pouring rain, and when we arrived at the restaurant that was our first choice, not only was it entirely booked, but also they were incredulous that the hotel would have sent us there without making a reservation. The second choice was the same, booked solid. We walked through the pouring rain again and eventually found a place ourselves. Please note that we were traveling with a five-year-old child, and so going from restaurant to restaurant was even less of an ideal situation. When we went to check out, Aminta tried to charge us 100 Euro per night extra for the ?? ?extra bed??? for our son. But there was no extra bed. He slept on the pull-out couch included in the room. They claimed our reservation was only for two people, but they did not say anything about this when we checked in, and did not say anything when I went to check out. They just added it to the bill without so much as a mention. When I protested the charge, they were intent on explaining why I should be charged, and after going back and forth, I finally suggested to them that they not add the charge because of all of the bugs in the room. It was only then that the manager emerged and wanted to talk for fifteen minutes about the bugs, and then finally acquiesced to remove the charge. The most important?? ?and most disturbing?? ?item to report is that the owners of the hotel have a collection of World War II memorabilia in the entrance to the main restaurant. Among its items are several pieces of Nazi memorabilia, including several with swastikas. As Jews traveling through Europe in today?? ?s world, you can imagine how shocking it was not only to see this, but to see it displayed so proudly and so openly. We asked about it at the front desk, and the clerk claimed not to know what I was talking about. I had to walk her over to the display to show her what I was referring to. She had no answers to my query about what the intention was of having these items on display, but she promised to pass my e-mail address along to the owners, and that they would send me a note to respond to my inquiry. No e-mail or phone call was ever received. Items number 1, 2, and 3 I chalk up to terrible service. Item #4 I find unforgivable, and I?? ?m shocked to know that this hotel is part of the carefully curated groups of hotels under both Tablet Hotels and Virtuoso. Is it possible that no one has been made aware of this? My wife & I stayed at Aminta for 4 days in fall 2018. This facility is at the top of its game in every respect. Probably the finest hotel experience we've ever had. Every minute detail is attended-to in a professional, courteous, and most-importantly, welcoming manner. The restaurant nails service and food quality perfectly, and of course the location is fantastic-- providing an unobstructed view of the islands.